‘Ipso facto’ is a Latin phrase that means ‘by the fact itself’. An ‘ipso facto’ clause is a provision in a contract that allows one party to terminate or modify the operation of a contract upon the occurrence of some specific event, regardless of otherwise continued performance of the counterparty. For example, in an insolvency context, a clause in a lease that allows one party to terminate the lease if the counterparty enters into external administration is an ‘ipso facto’ clause. the business could be prevented from being sold as a going concern. The introduction of the new law relating to ‘ipso facto’ clauses is part of the Federal government’s reform of Australia’s insolvency laws. This new law is aimed at enabling businesses to continue to trade in order to recover from an insolvency event. the company is applying for or undertaking a compromise or arrangement for the purpose of avoiding being wound up in insolvency (CA s 415D). Generally, where a triggering event under any of the above mentioned three categories occurs, there is a ‘stay on enforcing rights’. Please note that there is further detail in each relevant section of the CA, covering aspects such as the timing of the stay and the Court’s ability to extend the period of the stay. However, a detailed examination of these sections is beyond the scope and purpose of this article. The right is a right under a contract, agreement or arrangement entered into after a triggering event. 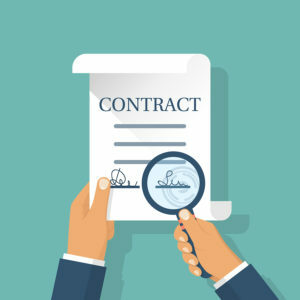 The right is contained in a kind of contract, agreement or arrangement that is prescribed by the regulations or a kind declared by the Minister. The right is a right of a kind declared by the Minister. Certain parties (named in the CA) have consented in writing to the enforcement of the right. Where a party wishes to enforce their rights despite a stay, they can apply for a court order. Broadly, the Court may issue an order if the Court is satisfied that this is appropriate in the interests of justice. (Refer to the CA ss 415E, 434K, 451F for further details about the criteria that the Court considers before making an order). Despite the operation of a ‘stay on enforcing rights’, the new law does not prohibit the exercise of a right for any other reason. For example, where there is a breach involving non-payment or non-performance by one party, the counterparty party can pursue its legal rights. An SMSF owns business real property and leases it to either an unrelated third-party tenant or a related party tenant. A lease agreement is executed by the SMSF as lessor. An SMSF invests by providing a loan to an unrelated third-party borrower. A loan agreement is executed by the SMSF as the lender. An SMSF enters into a limited recourse borrowing arrangement (‘LRBA’) to purchase real property. The SMSF executes a loan agreement in its capacity as the borrower. The custodian/bare trustee company might also be included as party to the loan agreement. Naturally, there are many other scenarios where an SMSF may enter into a contract. In the first scenario, the lease may contain provisions stating that the lease agreement is terminated if the tenant enters into administration or the tenant fails to make a lease payment within a prescribed time period. Similarly, in the second scenario, the loan agreement may contain provisions stating that the loan agreement is terminated if the borrower enters into administration or the borrower fails to make a loan repayment within a prescribed time period. In both the first and second scenarios, the SMSF trustee may seek to rely on these provisions to terminate the agreement with the other party on the occurrence of a triggering event. In the third scenario, the LRBA documents may contain provisions stating that the loan agreement is terminated if a certain triggering events occur, such as if the SMSF trustee enters into administration or the SMSF trustee fails to make a loan repayment within a prescribed time period. In the third scenario, the third party may try to rely on the provisions against the SMSF trustee upon the occurrence of a triggering event. In all three scenarios, there may be other clauses that deal with the consequence of the termination. It is important for SMSF trustees and advisers to know whether such clauses can be relied upon if a certain triggering event occurs. In certain circumstances, they may also have to decide whether any documents need to be updated in light of the new law relating to ‘ipso facto’ clauses. The following is a brief checklist of questions for SMSF trustees and advisers to consider when reviewing contracts. Is a certain clause in the contract an ‘ipso facto’ clause? For example, a clause stating that the contract is amended / terminated if the borrower enters into administration is most likely an ‘ipso facto’ clause. If the clause in the contract is an ‘ipso facto’ clause, does an exception apply? Consider whether the right falls within one of the four categories of exceptions. If an exception applies, there is no ‘stay on enforcing rights’, and the relevant party can seek to rely on the ‘ipso facto’ clause to amend / terminate the contract. If an exception applies and there is a ‘stay on enforcing rights’, can another clause be relied upon for the amendment / termination of the contract? For example, if the borrower has entered into administration and has also failed to make a loan repayment on time, the lender (ie, the SMSF trustee) may seek to terminate the loan agreement. A clause that states that the loan is terminated if the borrower enters into administration may be an ‘ipso facto’ clause and the lender may be prohibited from enforcing a right to terminate based on this fact. However, there may be another clause that states that any outstanding moneys can be recovered if a payment is not received on time. Further, the loan agreement may also specify that the full amount of the loan becomes payable if the borrower fails to make a loan repayment within the prescribed time period. This could allow the lender to recover the full loan amount plus interest plus costs, and to effectively bring the loan agreement to an end despite the other ‘ipso facto’ clause. Such a clause could protect the SMSF trustee in its capacity as a lender. For completeness, please note that a ‘stay on enforcing rights’ relating to an ‘ipso facto’ clause does not by itself invalidate a contract. Furthermore, the law in relation to ‘ipso facto’ clauses may be subject to further change in the future. For example, the exceptions to ‘stay on enforcing rights’ may change, so it is prudent to review the law on a regular basis. SMSF trustees and advisers should review all contracts entered into on or after 1 July 2018. SMSF trustees should also obtain documentation (such as LRBA documentation) from a quality supplier firm that has reviewed its documentation to ensure that it is up-to-date in light of this new law in relation to ‘ipso facto’ clauses. The law in relation to ‘ipso facto’ clauses is a new area of law and where in doubt, expert advice should be obtained. Naturally, for advisers, the Australian financial services licence under the CA and tax advice obligations under the Tax Agent Services Act 2009 (Cth) need to be appropriately managed to ensure advice is appropriately and legally provided. DBA Lawyers offers a range of consulting services in relation to individuals and advisers who have queries about how an ‘ipso facto’ clause affects an SMSF. DBA Lawyers also offers a wide range of document services. DBA Lawyers also confirms that its LRBA documentation has been reviewed to ensure that it is up-to-date in light of the new law relating to ‘ipso facto’ clauses. For more information regarding how DBA Lawyers can assist in your SMSF practice.